Chico Police are asking the public's help for information on a vehicle versus pedestrian hit-and-run incident. A man was found in the roadway on East 8th Street near Poplar Street around 6:30 Wednesday morning. Officers determined that he was struck by a vehicle that had fled the area. The unidentified victim was taken to the hospital where he was treated for multiple contusions and according to police, he has since been released from the hospital. According to a Chico Police press release, the suspected vehicle is described as a small white or light colored sedan and would likely have minor to moderate damage to the right front part of the vehicle. Anyone with information is asked to contact the Chico Police Department at 897-4910. Due to weather conditions Butte County officials extend the Check Before You Light Advisory for the Chico area. According to a Butte County Air Quality Management District press release, a strong high pressure weather system is creating an extended period of weak winds and cold nights. It is also creating strong pollution-trapping inversions. That's why the Butte County Air Quality Management District is asking residents in the Chico area to refrain from using their wood stoves and fireplaces today until midnight tonight. Officials say the air quality is expected to be the poorest during the evening and overnight hours when inversions trap wood smoke close to the ground. 26-year-old Salvador Fuentes of Oroville was the man who was found lying in the street at the Foothill Mobile Home Park around 8 Monday night. He was found with multiple gunshot wounds and was pronounced dead at the scene. The BCSO Investigations Unit is actively investigating the incident as a homicide and detectives believe the victim may have known the shooter. According to a Butte County Sheriff's press release, the suspect has not yet been identified. Anyone with information regarding this incident is asked to contact the BCSO Investigation Unit at 538-7671. The Butte County Air Quality Management District issued the advisory Wednesday and is now continuing it today until Midnight tonight. Officials are asking residents in the Chico area to voluntarily refrain from using their woodstoves and fireplaces today due to an air quality forecast that they say is unhealthy for sensitive groups. To check today's air quality you can go to www.bcaqmd.org or call the CBYL Hotline at 332-9409 or toll free at 1-855-332-9409. 30-year-old John Ballenger of Oroville plead no contest Wednesday, in Butte County court room, to arson and an enhancement that his reckless arson burned multiple structures. Ballenger was accused of illegally camping next to the Sucker Run creek near the Ponderosa Dam. He had been camping in the area for about a month and had an illegal campfire which he reportedly never put out. Ballenger reportedly left the fire burning while he went for a walk. Authorities say the hot embers escaped and started the Ponderosa Fire which burned over 4 thousand acres and destroyed 55 structures including houses. According to a Butte County District Attorney's Office press release, Ballenger faces 14 year in state prison. The Butte County Air Quality Management District is asking Chico area residents to voluntarily refrain from using their wood stoves and fireplaces today until 12:01 am Thursday morning. This due to an air quality forecast that is unhealthy for sensitive groups. According to a Butte County Air Quality Management District press release, wood stove and fireplace use is already restricted within Chico city limits by a city ordinance. For more information you can call the C-B-Y-L Hotline at 332-9409 or you can go to www.bcaqmd.org or you can also check their twitter feed. Police has identified the suspect in the Christmas Eve shooting incident in Chico. Officers found a 29-year-old woman suffering from a gunshot wound in an alley between West 1st and West 2nd avenues around 8:30 Sunday evening. She was taken to the hospital where she is currently listed in stable condition. Police say the name of the victim is still being withheld at this time. According to a Chico Police press release, detectives have identified the suspect as 18-year-old Alexanna Danis of Red Bluff. She is described as 5 foot - six inches tall and is 150 pounds. She has brown hair and hazel eyes. Anyone with information about Danis' whereabouts is asked to contact the Chico Police Department at 897-4900. Police are investigating a Chrismas Eve shooting incident in Chico. Officers arrived at an alley between West 1st and West 2nd avenues before 8:30 Sunday evening where they found woman in her 20s suffering from a gunshot wound. She was taken to the hospital for treatment. Authorities are saying that the woman's condition is unknown at this time. According to the Chico Police Department, due to the investigation, they are not releasing the names of those involved in the incident at this time. Anyone with information about this shooting is asked to contact the Chico Police Department at 897-4900. Butte County authorities are investigating a fatal Christmas Day shooting. Deputies were dispatched to the Foothill Mobile Home Park around 8 Monday evening after reports of shoots fired. The deputies reportedly found a man in the street in front of a residence with multiple gunshot wounds. Authorities say he was pronounced dead at the scene. According to a Butte County Sheriff's Office press release, due to the suspicious nature of the incident, the shooting is being investigated as a homicide. 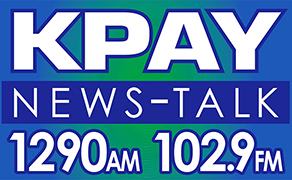 An Accident on the Lower Skyway Saturday Evening kills 1 and injuries another.. Chico Police report that an accident at the Skyway and Notre Dame Blvd. occured around 630P Saturday. The Police say the 2 vehicle accident involved a Toyota and Buick Cutlass, when 1 of the Vehicles traveling Westbound on the Skyway ran the Light at the intersection causing the collision with the 2nd Vehicle. Both Drivers received injuries in the collision and were transported to the Hospital where 1 of the Injured later died of their Injuries. Authorities have not released the names of those involved. The annual bike giveaway kicks off at 2 pm this afternoon the Butte County Sheriff's Office on Gillick Way in Oroville. Some 75 bikes have been refurbished. Those bikes along with helmets will be given to children in need. The bike giveaway is conducted by members of the Sheriff's Office and STARS volunteers. The Butte County District Attorney's Office announced Wednesday that a misdemeanor charge of assault was filed against 51-year-old Scott Ruppel. This after Ruppel allegedly put 21-year-old William Rowley the 2nd in a strangle hold while he was handcuffed and restrained last August. The assault was reportedly captured on the body camera of another officer as Ruppel was reportedly attempting to get Rowley to sit back in the seat of a patrol S-U-V. Rowley reportedly yelled at Rupple prompting him to allegedly grab the suspect by his neck and push him back into his seat. According to a Butte County District Attorney's Office Press Release, there was enough force to rattle the cage and Rowley was reportedly gasping for air afterwords. Ruppel was placed on administrative leave and he has retired from the police department. The Chico City Council moves further discussions of development impact fees to next year. There are 15 subcategories of the Urbanization and Street Facilities fee. 13 of those categories have already been approved by the council and at Tuesday night's meeting a 14th was added. That category is the Sewer-Water Pollution Control Plant and Sewer-truck line fees. The fee program update will be brought back at the second meetinig in January. A multiple vehicle collision on the Skyway slowed the morning commute. The CHP reported that 4 vehicles were involved in the collision which happened on the westbound lane near Lookout Point just before 8 am this morning. There were no injuries reported in the collision. FEMA has given nearly one million dollars to Butte County residents and business owners that were affected by the La Porte and Cherokee fires. More than 530 Butte County residents have received close to 970 thousand dollars in assistance. Businesses reportedly received around 27 thousand dollars in low interest loans. New fire safety rules have been adopted by the state. The Public Utilities Commission recently ordered PG&E to increase the minimum clearances between electrical equipment and trees. Officials say most of the state's foothill and mountian areas are part of a high fire-threat district. This includes foothill areas in Butte County. Officials say that the Sacramento Valley floor is excluded as a non-fuel area. PG&E officials say they expect to remove nearly 150 thousand dead or dying trees accross the state. SANTA BARBARA, Calif. (AP) — A 32-year-old firefighter assigned to the largest wildfire burning in Southern California has died. Officials wouldn't say how Cory Iverson was killed Thursday. The massive blaze he was working on northwest of Los Angeles has become the fourth-largest in California history. And the dry, windy conditions that helped its spread aren't going away. An Oroville teen accused of murder will be tried as an adult. A Butte County juvenile court judge on Wednesday found 18-year-old Juan Morales the 3rd, who was 17 at the time of the murder, unfit to be tried as a juvenile due to the severity of the crime. Morales was charged with July 2017 the death of a 62-year-old Howard Brimm. Morales was reportedly seen on camera on a street in south Oroville approaching Brimm who crossed the street to avoid him. Morales is then reportedly seen hitting Brimm and knocking him down. According to a Butte County District Attorney Office press release, Morales allegedly started stumping on Brimm's head. Brimm was transported to the hospital where he died 38 days later of massive head injuries. Morales will appear in court today for further arraignment. - that according to a Butte County Interagency Narcotics Task Force press release. The Chico Police will test its new emergency mass notification system today. CodeRED will be lunched and tested this afternoon at 1 pm. Police say the test phase is to validate phone numbers in the city's database. During the test residents will receive a call, email, or text message to validate telephone numbers. 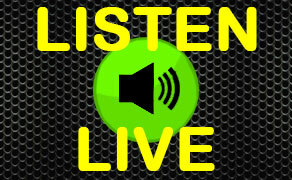 The caller ID number will read 866-419-5000 for emergencies and 855-969-4636 for non-emergencies. Police say there is no need to to take action if you receive the test message. According to a Chico Police Press Release, CodeRED will allow the police department and Chico Fire to provide more efficient and effective information during times of crisis. For more information and to sign up for the free service you can go to www.chico.ca.us or you can get the app from the app store or google play. The Butte County Air Quality Management District continues its Check Before You Light Advisory. County health officials are asking Chico area residents to refrain from using wood stoves and fireplaces today. The county has been posting advisories since Friday due to an air quality forecast that is unhealthy for sensitive groups and could continue with advisories for the rest of the week. For more information you can call the CBYL Hotline at 332-9409 or toll free at 1-855-332-9409. Bank of the West in Paradise is gutted after yesterday morning's fire. It reportedly took 10 fire engines and 35 firefighters to battle the flames at the building on the corner of Clark and Bille roads early Tuesday morning. Cal Fire investigators say the blaze, that was first reported at 4:30 am, started some time between 3:30 and 4:30. The fire damaged utility lines leaving hundreds without power, phone, and internet for a time. Officials closed Clark and Bille roads in the area until 10:30 that morning. The cause of the fire is under investigation, but authorities do not believe there is any reason to suspect that the cause of the fire was suspicious. According to Action News Now, the vault DID survive the fire, but Cal Fire officials say they haven't opened it yet. Some earlier reports indicated that the vault was destroyed. Firefighters responded to a fire at a Paradise bank early this morning. Cal Fire crews arrived at the Bank of West on Clark Road in Paradise around 4:30 this morning to find the building fully engulfed. Along with Cal Fire and Paradise Fire crews there were firefighters from Chico and Gridley who assisted. The fire gutted the building and Cal Fire says the vault was destroyed in the fire.The fire caused downed lines which inturn caused power outages for 2,000 Paradise residents. Most PG&E customers have now had their power restored. Clark and Bille roads were closed to traffic while crews worked at the scene. Butte County health officials are issuing another Check Before You Light Advisory for the Chico area. The Butte County Air Quality Management District is requesting residents to voluntarily refrain from using their wood stoves and fireplaces today until 12:01 Tuesday morning. The voluntary curtailment has been prompted by an air quality forecast that is unheathy for sensitive groups for the Chico area, that according to a Butte County Air Quality Management District press release. City officials say that wood stove and fireplace use within the Chico city limits is restricted by a city ordinance. A suspect leads law enforcement on a Chase in and around north Chico this morning. A man was reported to be driving erratically on northbound Highway 99 as a pursuit started with Chico Police before 4 am. The suspect drove into a field outside of Chico before getting onto southbound Highway 99. Officers reported at least one tire had blown out on the suspect's vehicle. By that time the Butte County Sheriff's Office and the CHP had joined the pursuit. Chico Police Dispatch reported that the suspect ended up westbound on Bell Road where he was stopped near Meridian Road and was taken into custody nearly an hour after the pursuit started. Some quick work by Chico Police leads to the arrest of a 32 year old homeless man for a suspected bicycle theft. Police say the bike was stolen Tuesday evening at a home in South Chico. Officers noticed it in the Raley's Parking lot Wednesday morning and it was in the possession of 32 year old Vincent Abbott. According to a Chico Police Department press release,the value of the bicycle was estimated at nearly $3,000. The CHP reported on their website a multiple vehicle collision on Highway 99 and Skillin Lane northwest of Oroville just after 8:30 this morning. CHP officers say there are 3 to 4 vehicle involved. No word on injuries at this time. Butte County detectives are actively searching for 33-year-old Don Mokler Jr. 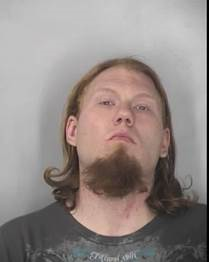 According to a Butte County Sheriff's Office press release, Mokler allegedly assaulted a man with a baseball bat before stabbing the victim in the hand during a dispute at a residence on the 65 hundred block of Allentown Road last Thursday morning. Anyone with information about Mokler or his whereabouts is asked to contact the Butte County Sheriff's Office at 538-7322. Chico Police dispatch reported a hit and run collision around 8 this morning. A tan Chevy truck hit a parked car and then took off down West 8th Street. 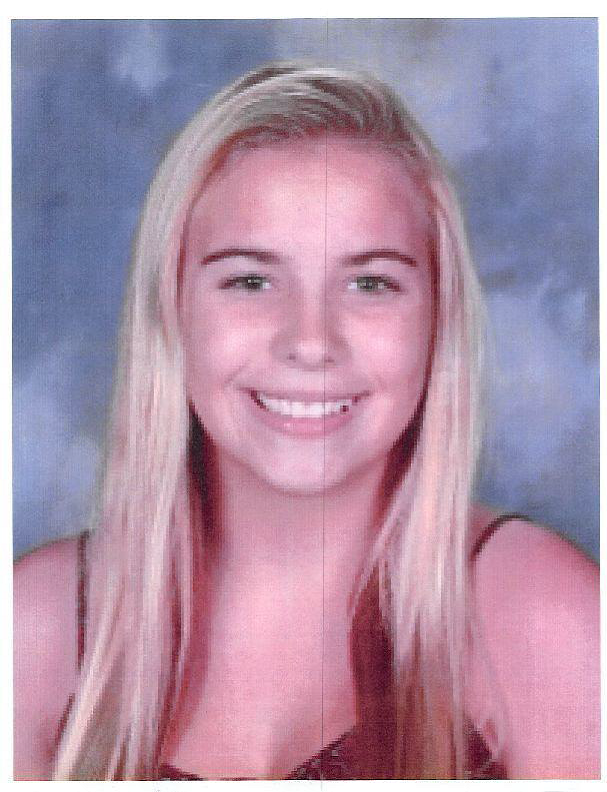 Red Bluff Police are searching for a missing teen. An officer was contacted at Red Bluff High School around 9:30 Wednesday morning regarding a missing juvenile. The Officer learned that the missing 15-year-old, identified as Lily Celano had left her residence on Locust Street the night before and had not returned home. According to a Red Bluff Police Department press release, Celano has been reported missing before and police do not suspect foul play. Lily Celano is described as 5 foot - 4 inches tall and weighs 120 pounds. She has blond hair with green eyes. Anyone with information on her whereabouts is asked to contact the Red Bluff Police Department at (530) 527-3131.